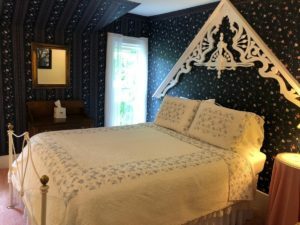 Named after Andrew Potts Jr., overlooks the Crystal River and is decorated in navy blue wall paper with a whimsical Victorian fretwork on the wall behind the bed. 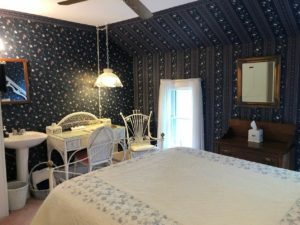 It features a white wicker desk and rocking chair and comfy terry robes. 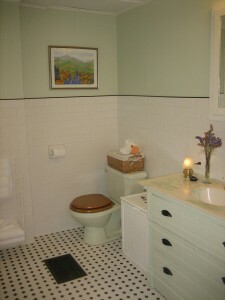 This delightful room has its own sink and the large mint green bathroom with black and white tile which is down the hall and has a claw foot tub with shower.